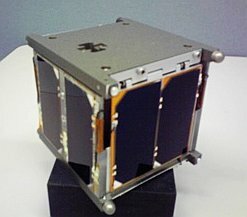 Four CubeSats in Japan are planned to launch at May 20, 2010 21:58 UTC together with PLANET-C which belongs to JAXA by H-IIA rocket. WASEDA-SAT2 is the satellite that was designed and developed by MIYASHITA and YAMAKAWA laboratories. The mission of this satellite is the examination whether the posture of this satellite can be stabilized by air resistance that is generated by the expansion of panels or not, and doing a basic experiment about the data communications technoogy between optical satellites using the verification whether the posture of the satellite can be stabilized according to the obtained the QR-code. 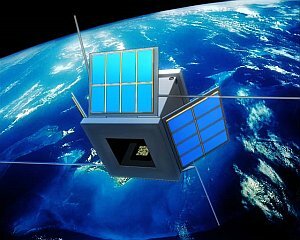 In the examination whether the posture of this satellite can be stabilized or not, an acceleration sensor is installed on the inside of the satellite and we judge that by the data of acceleration received from the satellite. In the basic experiment about the data communications technoogy, first, the QR-code is displayed on the LED panel. Second, this code is taken a photograph by the camera. Then, the data of this code is transmitted by the electric wave. Finally, we display the QR-code on the homepage. At this launch, the orbit altitude that WASEDA-SAT2 go into is low, so this satellite will rush into the atmosphere in several weeks. To the success of the mission, we need to take data efficiently from this satellite during the short time. So, we got a license as amateur satellite which can be cooperated by many eager satellite enthusiasts. The missions of WASEDA-SAT2, as part of education and research of university, are done by studentsbecause we contribute to the rearing of the talented people who become leaders in the next generation of the development of the space satellite. Aufgrund der niedrigen Inklination (30°) werden wir WASEDASat in Deutschland nicht empfangen können.